To truly understand this story, we need to know a little more about who Sydney Smith is, and what makes her tick. From a young age, Sydney had been obsessed with giraffes. 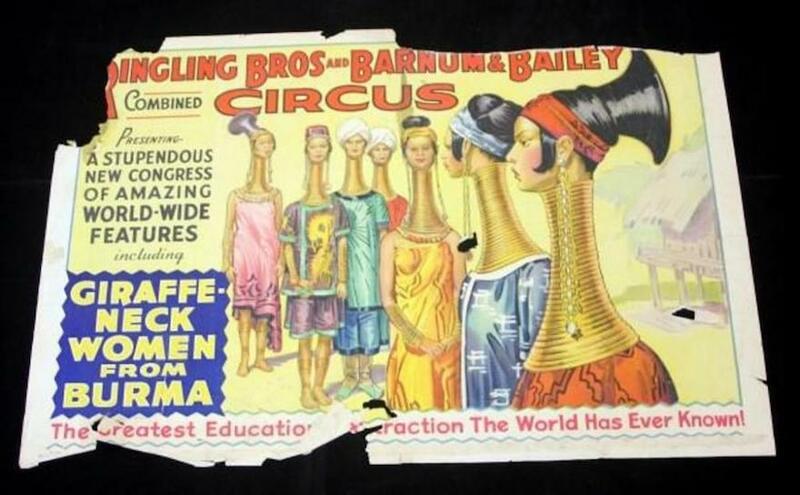 She had admired their long, slender necks and always looked on with envy as they held themselves above the rest of the animal kingdom. Before too long, Sydney discovered an ancient practice used by the Asian Kayan Lahwi tribe and was ready to take the plunge herself. She was going to lengthen her neck, one way or another. 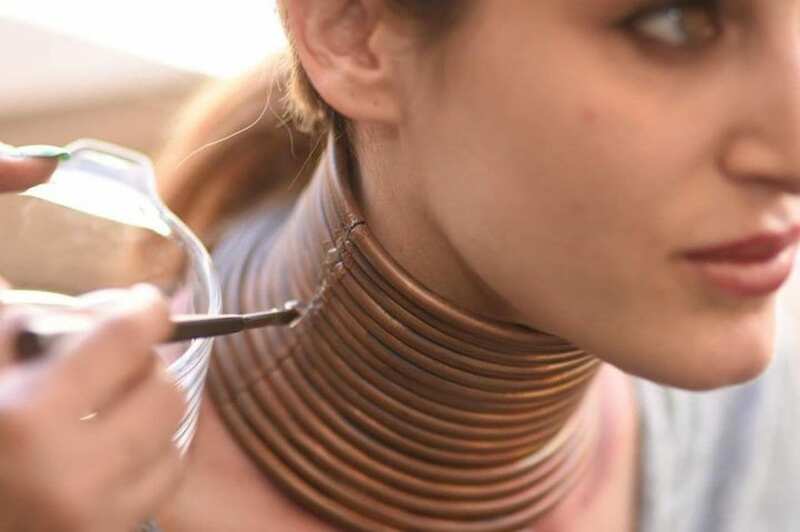 Wearing these brass rings around their necks has been an ancient custom within the Kayan Lahwi tribe for decades, but only the women take part in this tradition. Because they have become a huge part of their culture, nobody really knows where they came from or what they really mean – but there has been some speculation over the years. Most historians and anthropologists have suggested that these rings are a way to make the women of the tribe seem either more attractive or less attractive to the men. When Sydney was just a youngster, she wrapped coat hangers around her neck to lengthen it at home, but this didn’t quite do the trick. So, she decided to lay off the lengthening for a few years to work out whether it was really something she wanted for the rest of her life. In the end, Sydney began to long for the weight of the rings on her neck once more, and she decided to take the plunge. She decided to follow her heart and have a necklace custom-made for her neck. Thankfully, Sydney didn’t venture into this new life all at once. She added a new ring each time she felt as though her neck had lengthened, and she gave herself time to really adjust with each new change. Although she was happy with the way that her neck was growing, she was still self-conscious. She would cover the rings with turtle-necks, and she would avoid customer interaction at work. Yet, she could feel that her neck was struggling under the weight of the rings, and she began to second-guess her decision. While Sydney was struggling with her life choice, she attended a Lady Gaga concert. During this concert; Sydney finally realized what she needed to do. As one of the most eccentric people in the world, Lady Gaga does everything she can to stand out from the crowd and do something different. She shocks her fans, and she is always unexpected. Sydney wanted this in her life, so allowed her friend to attach custom-made rings around her neck with a soldering iron. Although it burned her skin, she thought it was worth it. Although Sydney knew she had made the right decision and was happy with the rings that were around her neck and lengthening them each week, she did often struggle to adapt. Because the rings restricted her range of movement, Sydney often had trouble when she was driving because she could not move her head as easily as she could previously. Alongside this, Sydney also knew that she couldn’t sit outside in the summer heat because her neck would sweat so much she would start to smell. This had a drastic impact on her social life. In fact, the rings had a drastic impact on her life in general. Because she felt incredibly self-conscious about her new image, she would often avoid all forms of social interaction and stay inside her house where people couldn’t make comments about her appearance. As if that wasn’t enough, Sydney was also living a lonely life with no relationship on the horizon. Although she had tried to date, the people in question had always been fascinated by her rings – but then they had always asked her to remove them for certain events. 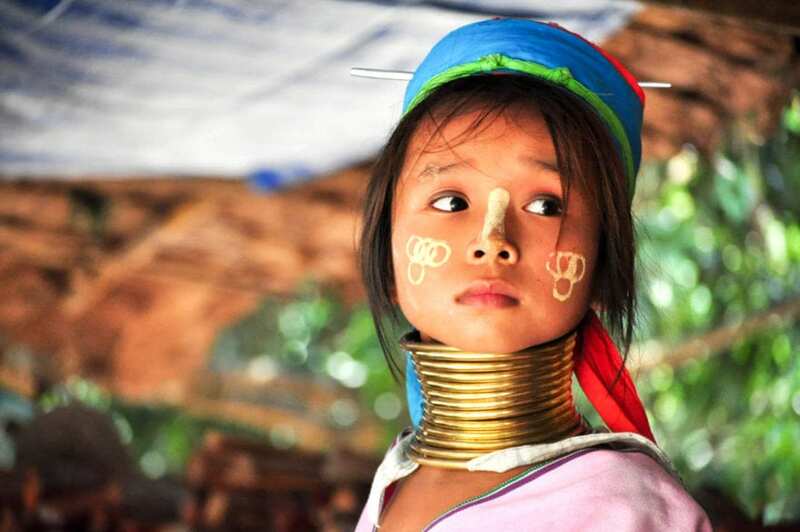 The women in the Kayan Lahwi tribe have been stretching their necks for decades, but they always start when they are children. Because of this, the neck can grow longer inside of the rings – making it much more healthy and safer for them. However, Sydney first started to elongate her neck when she was an adult, which meant that the bones in her neck had no way of growing because they were already fully grown. This meant that she was simply stretching her skin and pulling apart her bones. Although Sydney knew that her transformation into the ‘Giraffe Woman’ was not entirely safe, it did pay off in the long run. As one of the first Western women in the world to bring this intriguing tradition to life, there were people around the world who were utterly fascinated by her decision. In fact, she was offered the chance to be featured in an exhibit within the bizarre franchise, Ripley’s Believe It or Not! 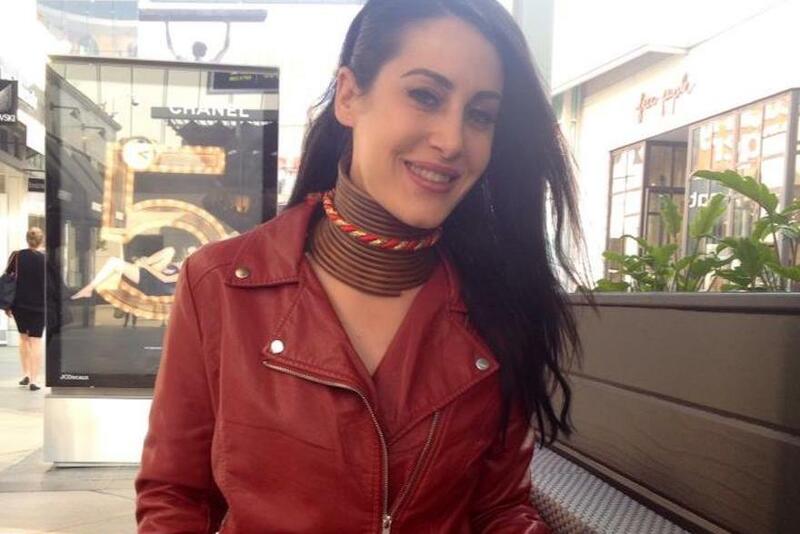 Her own experience and her own journey was showcased next to those of the Kayan Lahwi tribe. However, Ripley’s Believe It or Not! weren’t the only people who wanted to work with the ‘Giraffe Woman.’ As soon as her story became international news, fans were waiting in line to work with Sydney. Most notably, she was offered numerous modeling jobs with high-profile magazines and agencies, including Penthouse Magazine. This life-changing opportunity featured a beautiful circus theme and gave Sydney a one-way ticket to fame. Yet, there were some people who thought the rings were more bizarre than beautiful and that the circus theme made a mockery of her decision. In fact, there are still people all around the world who associate the women of the Kayan Lahwi tribe with the circus. 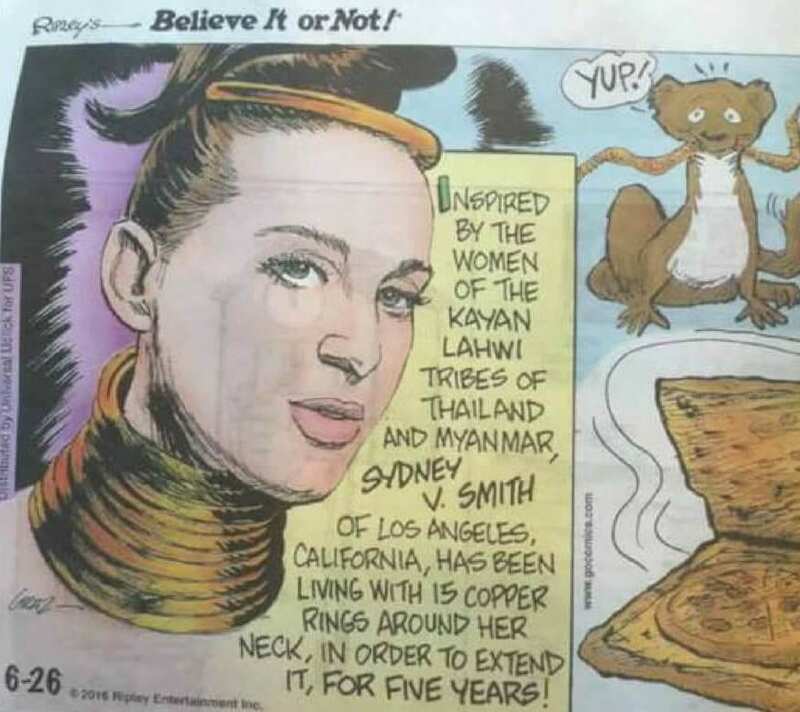 One of the reasons for this is because these women and their culture have been put on display in some of the biggest circuses and attractions known to man after they were taken from their homeland. People across the globe would pay money during the 19th and 20th Century to see these women in the flesh, and a small portion of that unique world is still desired today. Although people are no longer forced and taken from their homes to take part in these attractions and circuses, there are still people in this world who nominate themselves to become the main event. Yes, they put themselves forward thanks to their special talents or their unique look and show off the fact that they are different and proud. One of the most famous women to do this is Katzen the Tiger Lady. To truly become a tiger, Katzen had her body tattooed with stripes and even had whiskers implanted into her cheeks. 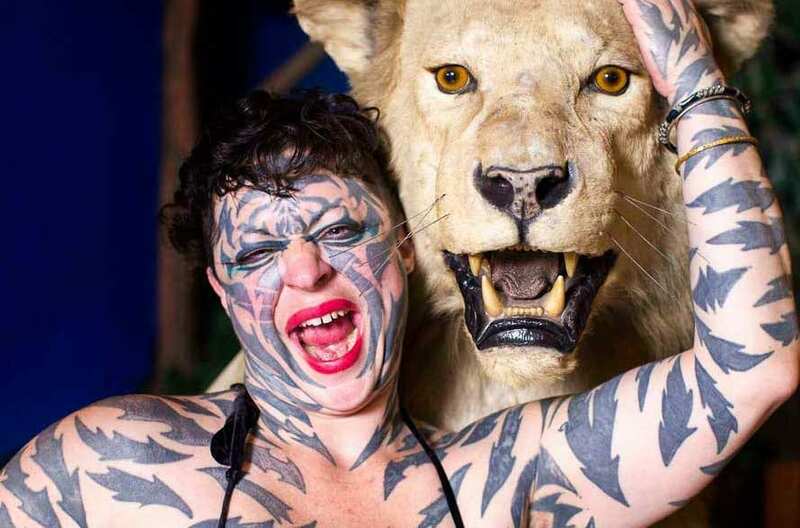 While many circus performers do use body modification as their trick of the trade, there are some people who modify their body just because they want to! This woman is Jocelyn Wildenstein, but she prefers to be called Catwoman. That’s because this woman has supposedly shelled out thousands of dollars to turn herself into a human cat because her husband finds her more attractive this way. Although Jocelyn has always denied the rumors that she has gone under the knife, many critics believe that it’s impossible to achieve this look without surgery. All in all, Sydney followed in the footsteps of other body modifiers and changed her appearance with the rings. She eventually settled on 15 rings to make her neck look longer and more elongated, and this whole necklace would weigh a whopping five pounds. This was a terrible weight to carry on her shoulders both physically and mentally, and Sydney began to question whether it was the right move for her. She constantly chopped and changed between wanting to keep them and wanting to remove them. Eventually, she made her decision. Over the course of a few months, Sydney was in two minds about whether she should remove the rings and leave her neck free from the weight or keep them on to live out her dreams. There were numerous times where she would decide to take them off, but back out at the last minute. For Sydney, this was not just a case of taking off a necklace. The rings had been a part of her life for five years, and she had grown attached to them. Nevertheless, she decided once and for all to take them off. Sydney could not remove the rings herself because they were so heavy and sealed together using a strong glue. So, she enlisted the help of a friend and a strong chemical to free her neck from the rings once and for all. The whole process took around 15 minutes, and Sydney found it both mentally draining and physically painful. Despite this, she was happy to finally be free of the weight on her shoulders and to be able to see her neck for the first time in five years. Although Sydney was relieved to have the rings taken from around her neck, she did not expect to see what had been underneath all that time. As soon as she looked in the mirror, she was horrified to see that her neck was covered in bruises. The bruises took a couple of weeks to disappear, but her ordeal was not over just yet. Because she was not used to moving her neck so much, Sydney had to attend numerous appointments with a chiropractor and attend physical therapy to strengthen her muscles. 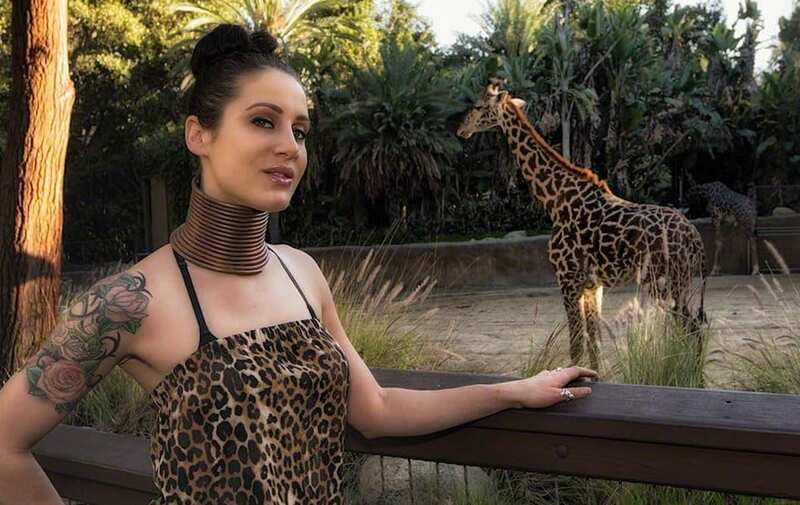 Sydney was happy to be back to normal, but that doesn’t mean that she regrets the fact that she was the ‘Giraffe Woman.’ In fact, she loved having the rings around her neck, and she loved the way that it made her look and feel. She also loved the fact that it made her neck appear much longer than it was before. She claims that the rings allowed her neck to lengthen to around nine inches long, but that she is now excited to make the most of her life and her new mobility. Because she often missed having the rings, Sydney often wore a necklace that could be removed at any time. 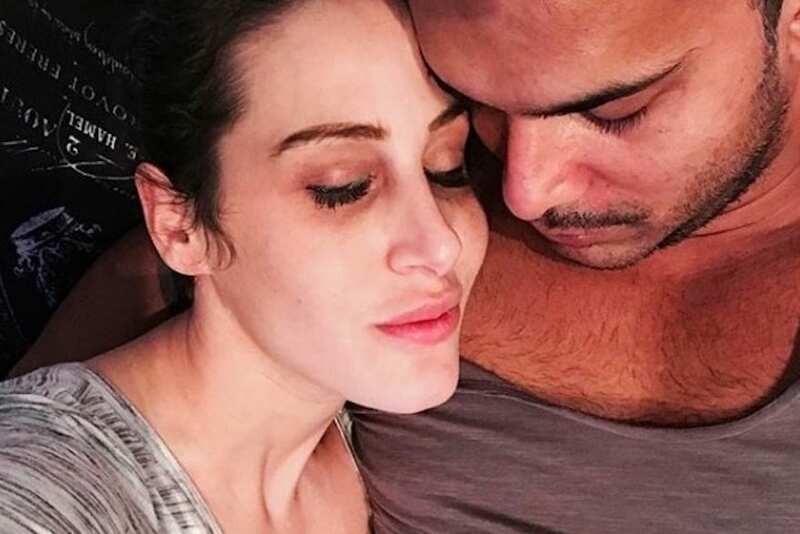 Yet, she was soon granted with an opportunity to rid herself of the necklace altogether when she discovered that she was pregnant! In June 2017, Sydney and her partner welcomed their daughter into the world, and they called her Skyler Rose. This was all of the incentive Sydney needed to stop with the body modification and focus on being the best mother she possibly can for her new addition. 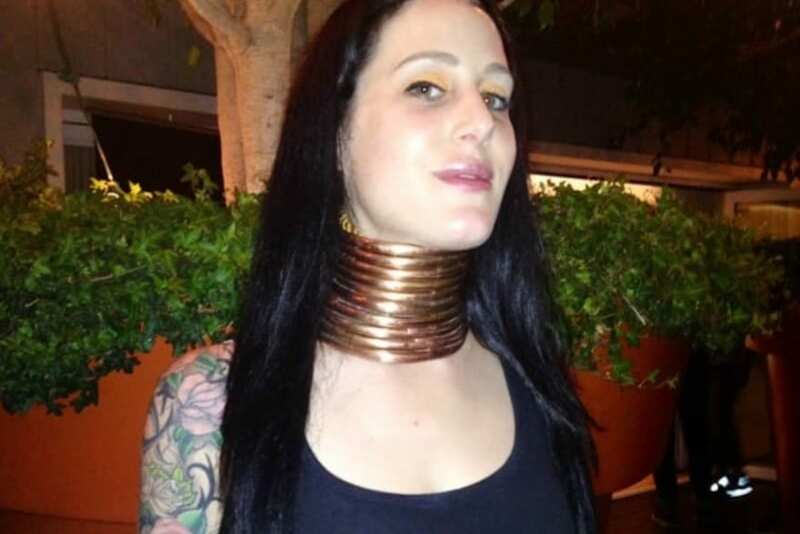 Amazingly, Sydney isn’t the only young woman to utilize body modification. 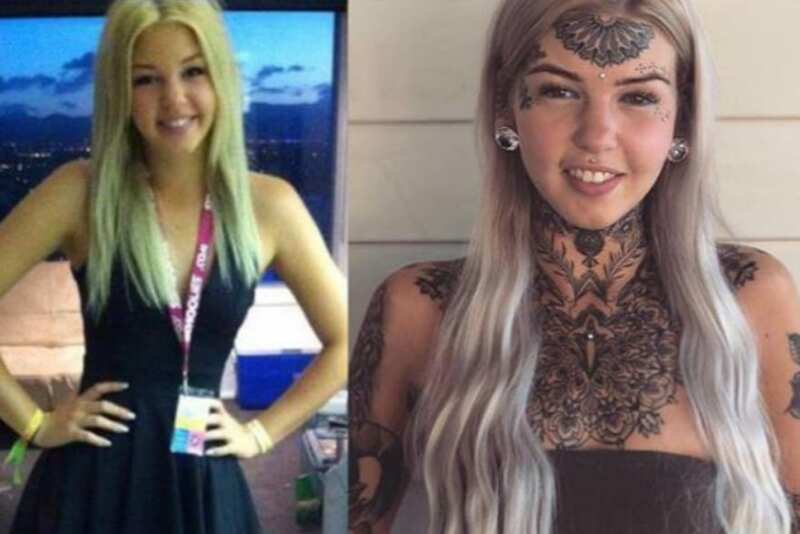 This is Amber Luke; a 23-year-old woman from Australia. 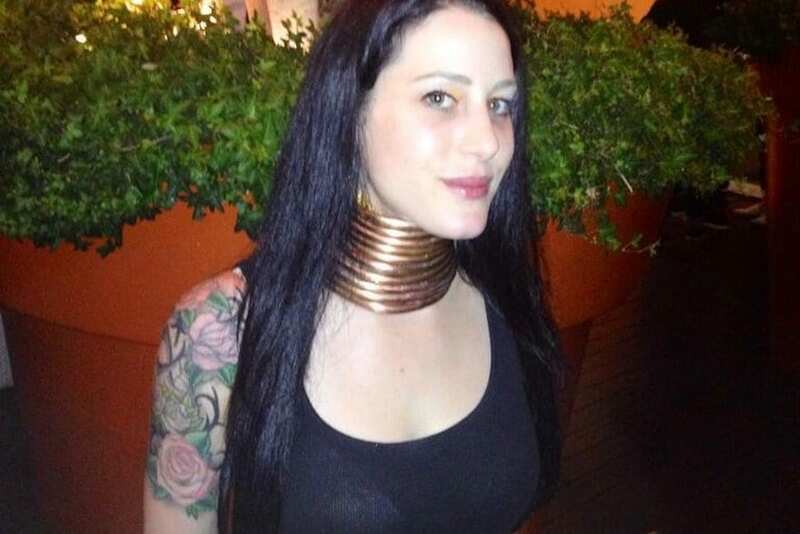 Amber is known to many as the reigning queen of body modification, although it might not look like it from this photograph. Today, Amber often goes by the nickname of ‘Blue Eyes White Dragon’ thanks to the numerous body modifications she has undergone over the course of her lifetime. After growing up ‘bored’ with her looks, Amber decided to change a few things and now looks completely different. When she was just 16 years old, Amber Luke decided to get her first tattoo. This was not just because she wanted one on her body, but also because she was craving to see what it felt like to go under the needle. This was the first modification of many, as Amber is now completely covered in tattoos from head to toe. As if that wasn’t enough, she has also modified her body in numerous different ways. Most notably, she paid to have her tongue look like a snakes tongue, and it was ultimately sliced in two. Although Amber was happy with her body modification, she always wanted to go one step further. So, she decided to tattoo the whites of her eyes. This is one of the riskiest body modifications on the market and can have disastrous effects if it were to go wrong. In fact, many people have gone blind in an attempt to tattoo the whites of their eyes in the past. However, Amber decided to bypass these potential risks and go through 40 minutes of pain to complete the procedure once and for all. 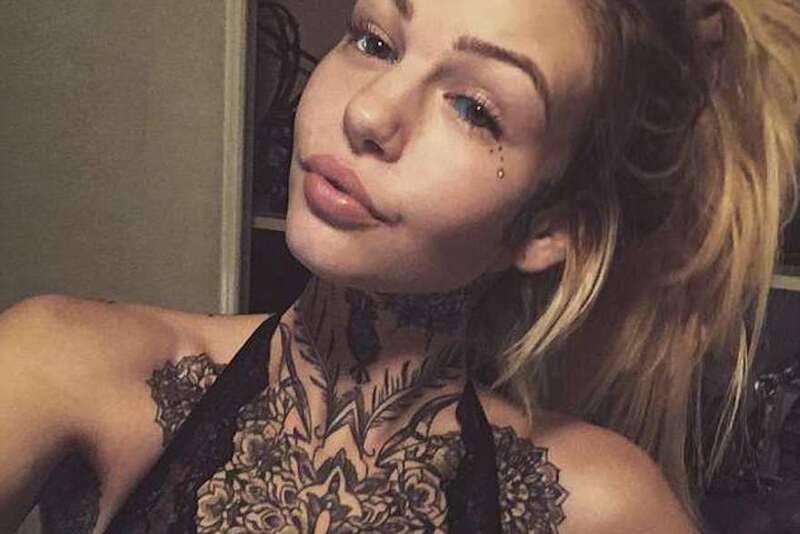 Over the course of her body modifications, Amber has spent over $10,000 to add these little quirks to her appearance. She has gone under the knife to make her ears more elfine and pointy, and she has spent a huge amount on piercings and tattoos. Despite many haters questioning her look and her transformation, Amber is certain that she is happy with the way that she looks and that she doesn’t regret a single thing about her appearance. Even her mother is happy with the way that her daughter looks! When asked about the responses to her appearance, Amber has noted that many people have their own opinions about her looks – but the only ones that matter to her are the opinions of those closest to her. Luckily, all of her friends and family have been incredibly supportive of her body modification journey. 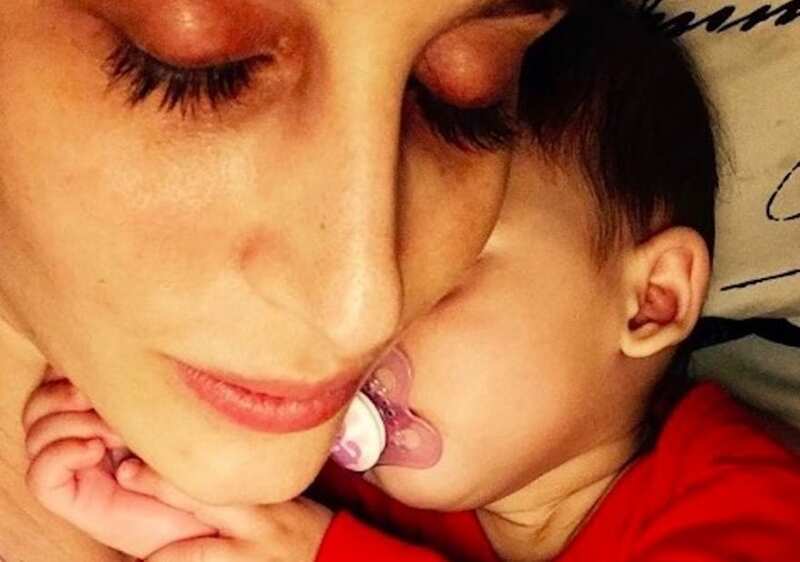 While her friends have all gone along with every decision she’s made, her mother has always been her number one fan – even when she has been a little shocked as to how far Amber has taken her change. Of course, sometimes the negative comments do get Amber down – but then she remembers that it’s her body and she can do whatever she wants to it. So, she tries to embrace every change that she makes to her body and loves to update her numerous supporters on social media with each new change. 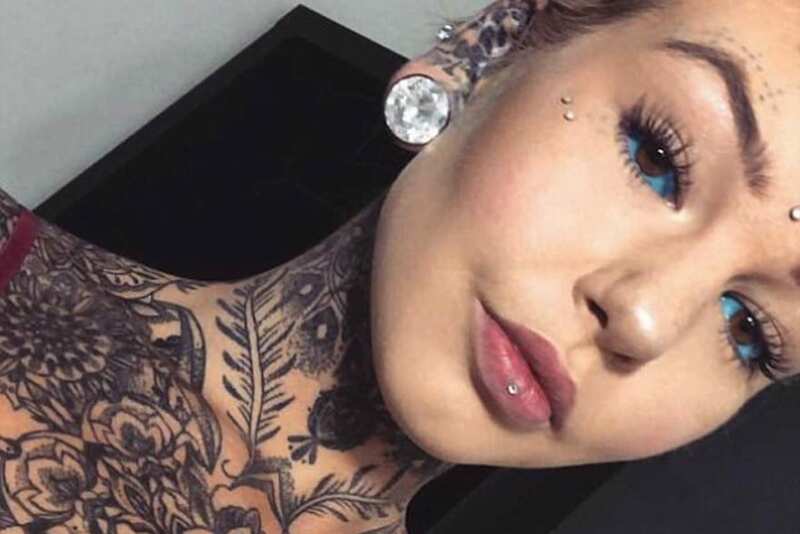 Amazingly, she has built up a huge fan following this way, and she’s even enlisted the help of the “world’s most modified youth” to really get the ball rolling and set body modification trends. 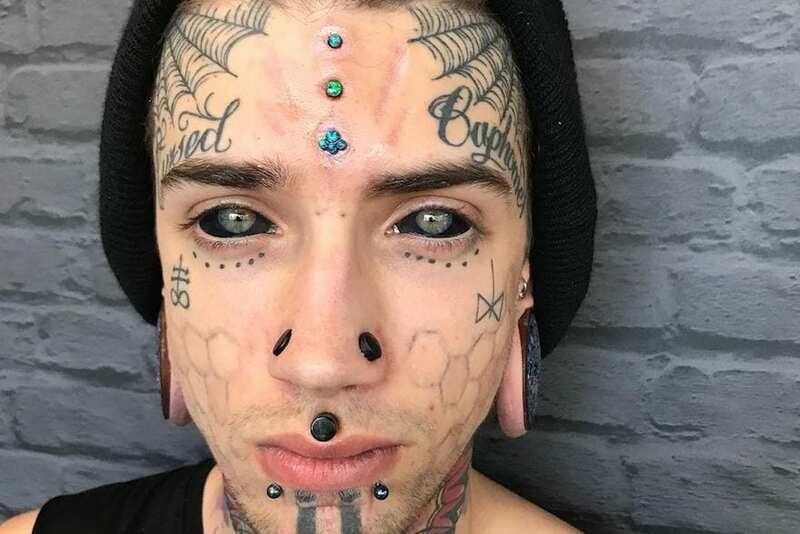 Yes, say hello to the man regarded as the “world’s most modified youth.’ This is Ethan Bramble, the 21-year-old body modifier who has helped to inspire a new generation of people who want to change their appearance – including Amber. When he was just 11 years old, Ethan set about his task of modifying his body, and he has since amassed a whopping 150 tattoos and has gone under the knife more than 40 times. Although he calls himself a “weird looking dude” he wouldn’t have it any other way. When Amber first laid eyes on Ethan, she knew she wanted to follow in his footsteps and get the whites of her eyes tattooed. 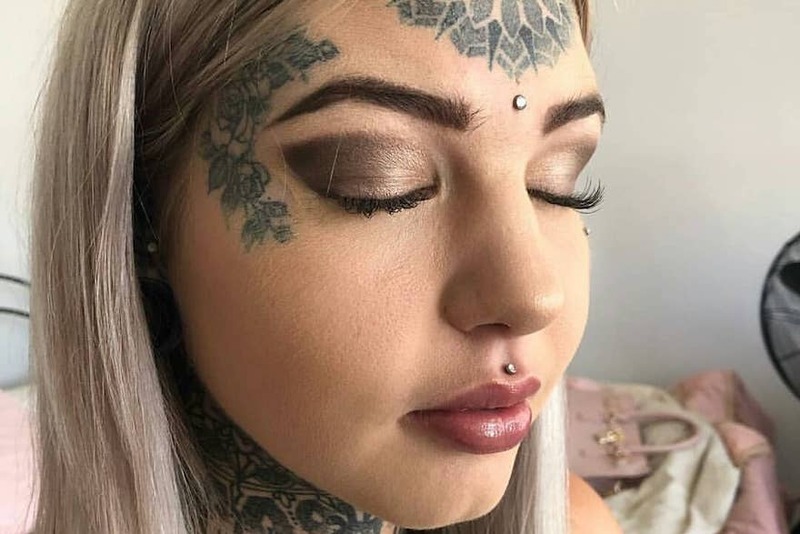 Originally, she wanted to have them tattooed black just like her inspiration – but she soon got talking to her tattooist and decided to go with a new plan. To try and bring out the natural colors in her eyes, Amber settled on blue. 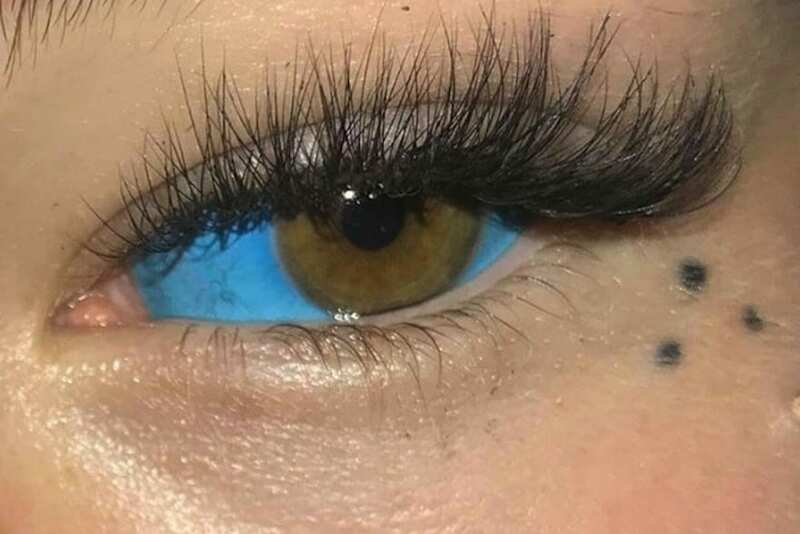 She underwent the procedure and eventually came out with bright blue eyes, but she still wasn’t done with her modification. Like most body modifiers, Amber plans to change her appearance so drastically she always has new procedures on her list. Right now, she is saving up the money to get her canines sharpened to look like vampire teeth. As if that wasn’t enough, Amber was booked in to get silicone horns embedded underneath her skin on her forehead. This would give the devilish impression that she was a mythical creature or demonic animal. However, she eventually backed out on this procedure as she didn’t think it would suit her. Like Sydney, Amber has lived her life with dreams and intentions of permanently changing her outward appearance. Yet, this wasn’t something that Amber just decided to do one day. She has a few words of wisdom for those who are contemplating modifying their appearance and wants people to know that it’s important to do your research. You have to find a modifier that you trust, and you have to find one that you have a connection with. If not, you won’t feel comfortable and enjoy the transformation.